This weekend, Saturday, June 29 – Sunday, June 30, St. Louis PrideFest will be held in Downtown St. Louis for the first time, making it even easier to ride Metro to the festival and to Sunday’s 11 a.m. parade. 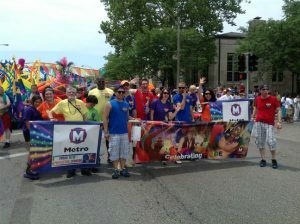 Metro, a proud sponsor of PrideFest, encourages all festival and parade goers to take Metro to avoid the traffic and parking congestion downtown. This year, the Gateway Arch will provide the backdrop for the parade, which will run along Market Street from 8th Street to 18th Street. The festival grounds will be in a ten-block area along Chestnut Street surrounding the Soldiers Memorial. 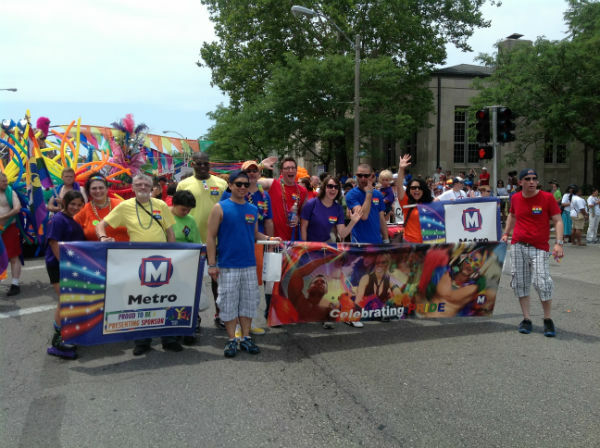 Pride visitors can take MetroLink to any of the downtown stations between 8th & Pine to Union Station. Many MetroBus options are also available. The festival and parade will require several MetroBus routes to be detoured. Visit www.metrostlouis.org for more details. Have a wonderful weekend, and ride with pride!